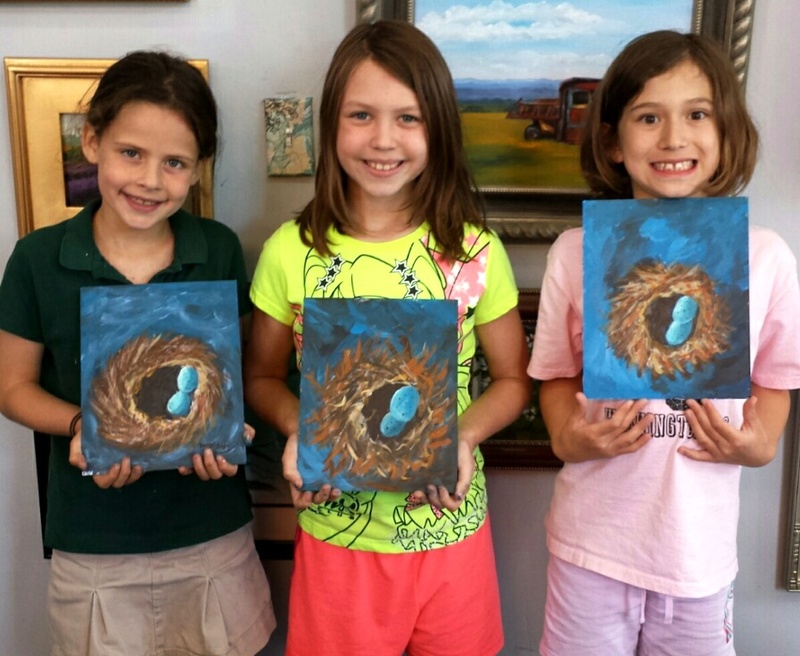 May | 2015 | "A Place for Learning"
In the Kid’s Painting class this past Wednesday we painted Bird Nests. Nice job girls! I mentioned this past week that the Wednesday classes of students really produced this week. Seems like they all finished their paintings at the same time. 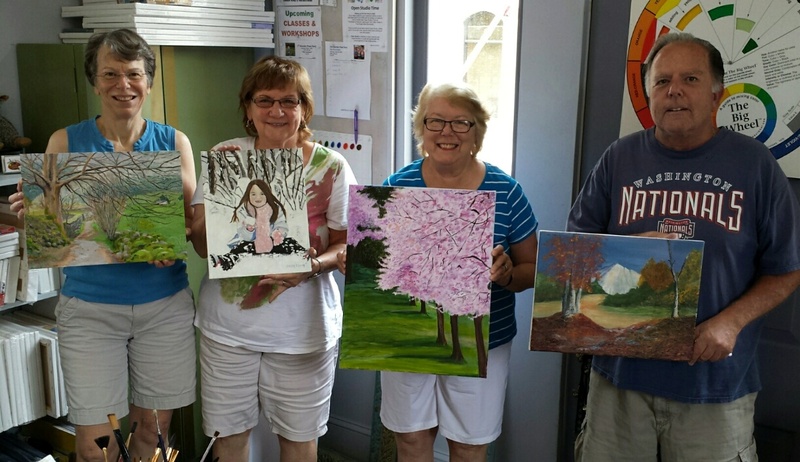 Here are Pat and Jean from the Wednesday Night Class with their paintings. They turned out super! Great job girls. And to see the Wednesday morning painters work click here. 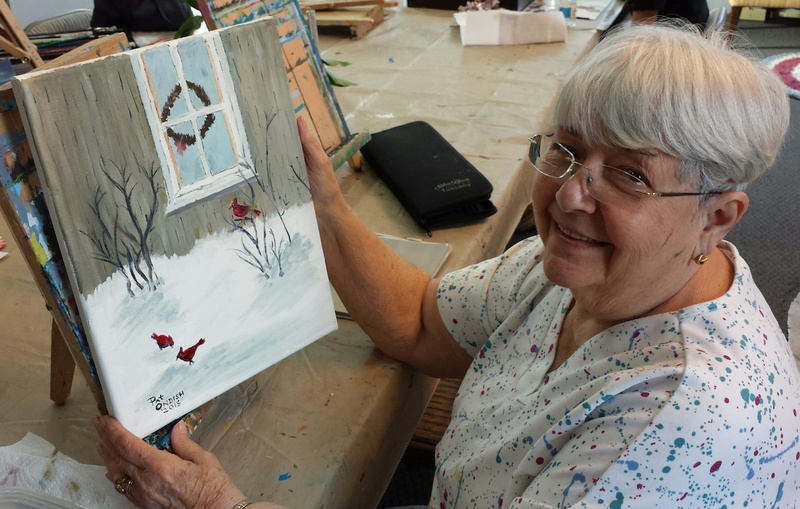 I teach three adult painting classes each week… Wednesday at 10:30 am or 5:30 pm and Thursday at 5:30. Each student paints whatever subject matter interests them and I help them individually. That way they get to paint something that they want not just what I choose for them. It also allows each person to develop their own style. I love seeing what each students chooses. 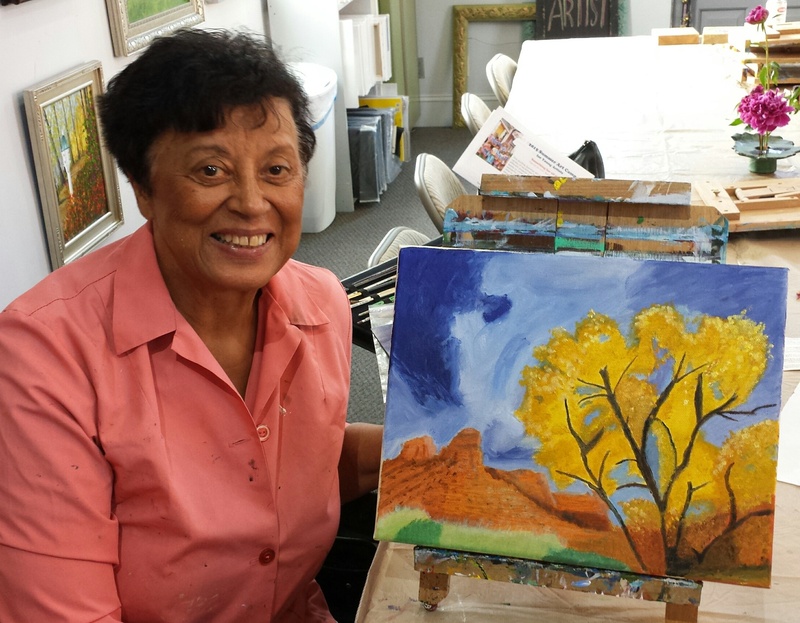 Yesterday both of the Wednesday classes had several people who completed paintings. Here are four of the Wednesday mornings painters with their finished work. Great job everyone!!! Here is a little painting that I did last week. 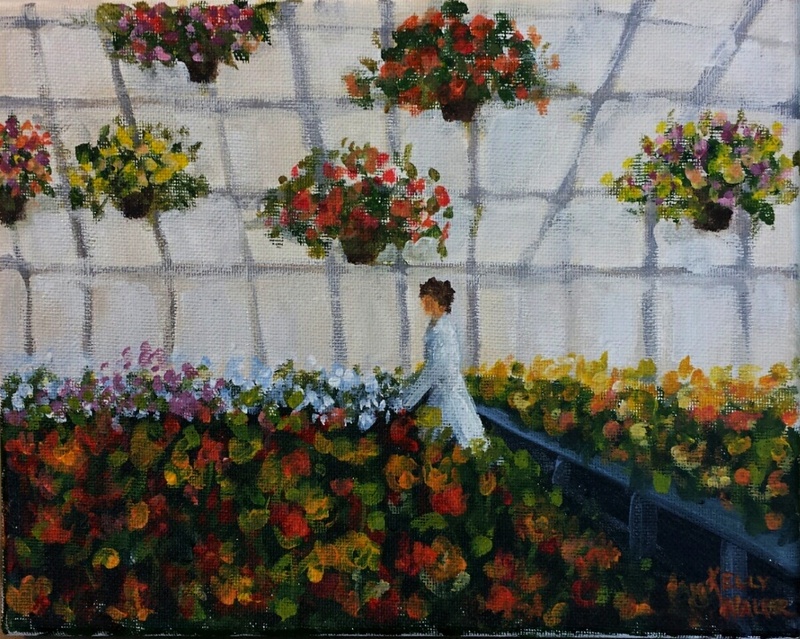 The Greenhouse is an acrylic on canvas measuring 8″x10″. 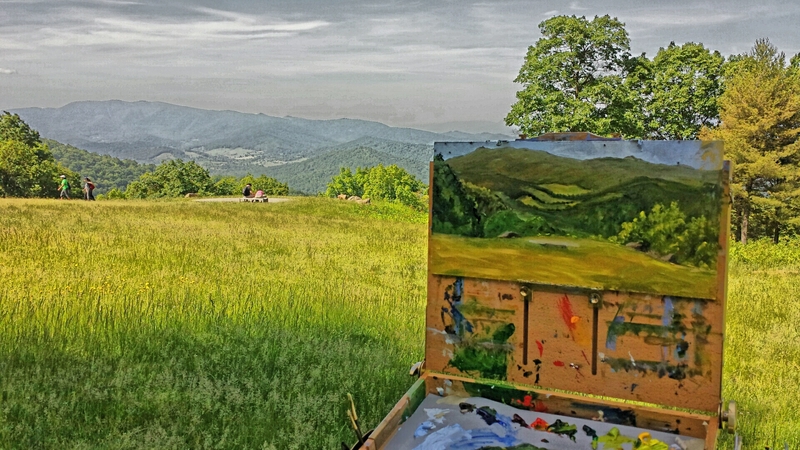 I enjoyed a lovely morning at Dickey Ridge Visitor Center painting that view. I have painted it several times but it’s always a thrill to be there painting outdoors. I can’t believe all the interest in my “Hot Tub Garden”. 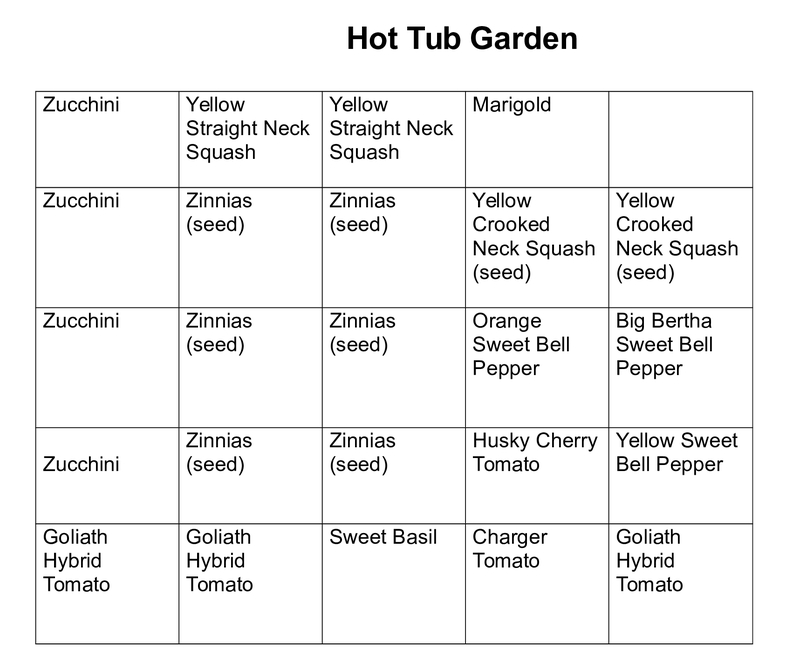 The question I got the most was about what I planted so here is the layout and the plants. I will keep posting photos as it grows to show the progress.